What if we had the confidence to be who God created us to be-stumbles, fumbles, and all-embracing who we are rather than conforming to the world? Using an acrostic for the word AUTHENTIC, author Carey Scott unpacks 9 ways we can find the confidence we need to be our truest selves-a beautiful challenge to shine every day with fearless authenticity. 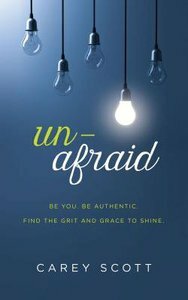 About "Unafraid: Be You. Be Authentic. Find the Grit and Grace to Shine."